If you’re visiting Queensland, chances are you’re in town to see the Great Barrier Reef (congrats, by the way great holiday choice!). While exploring the reef is a total bucket list moment, I think you’d be a fool to visit the natural wonder without making a stop in Bundaberg—on the Southern Great Barrier Reef—to witness the miracle that is turtle hatchlings. 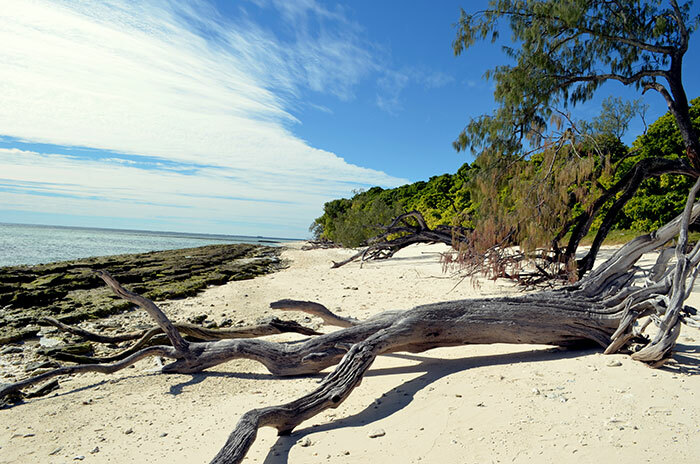 Bundaberg is a four-hour drive from Brisbane, or you can simply catch a flight in in much less time, and is home to breath taking fields of sugar cane lining the streets, Lady Musgrave Island (my FAVOURITE spot to visit the reef!) and of course, Mon Repos: the best place to witness turtle hatchlings. This is your best chance to live your best David Attenborough life, people. When can I see the turtles? First things first, you’ll need to plan your trip around when the magic actually happens. 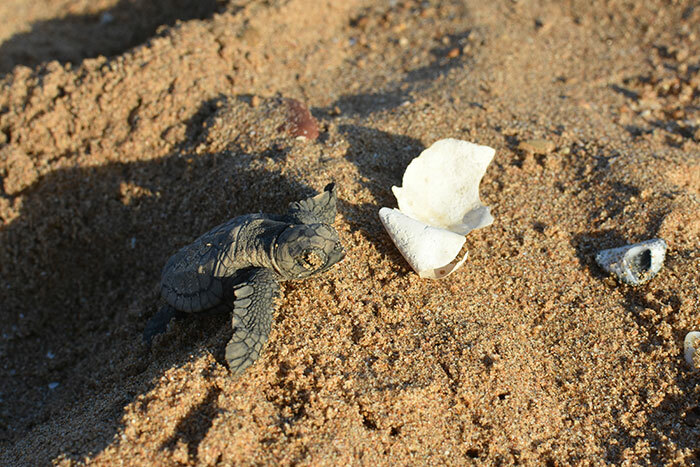 The turtle nesting season runs from November to January—which is also pretty special to see—meaning you’ll be able to see the hatchlings each night from January to March. But, local’s tip: late February is the best time to see them. Where can I see the turtles? Mon Repos is the absolute BEST spot to this natural phenomena, trust me. 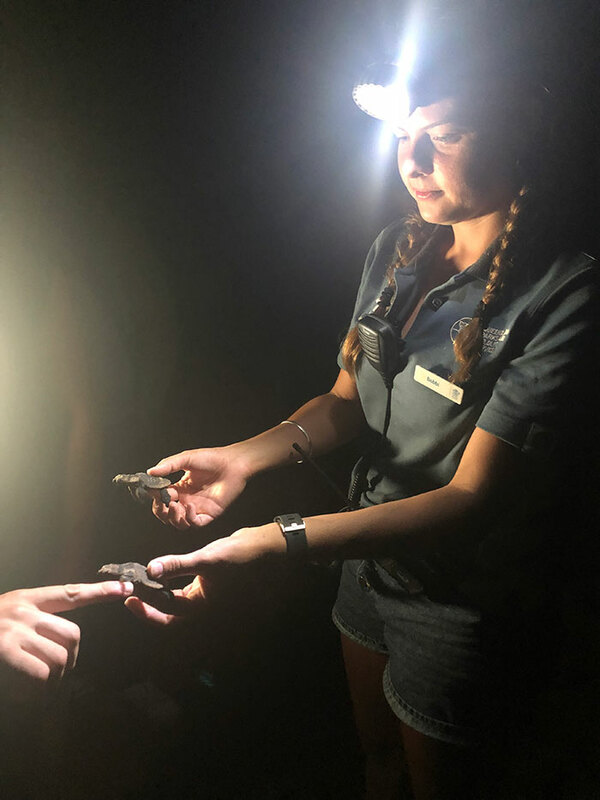 Fun fact: turtles return to the site they were born over thirty years ago to lay their eggs, so the turtles you’ll see hatching here are the babies of their brave mother’s who made the journey all that time ago! Pretty cute, huh? 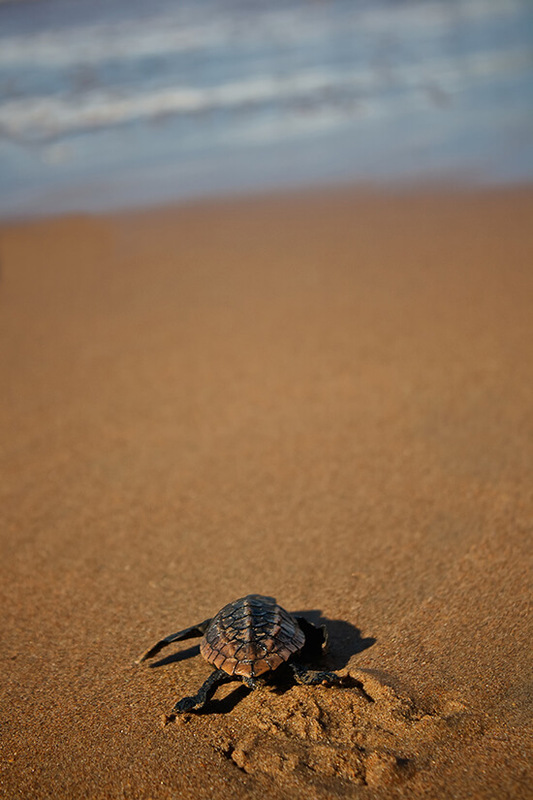 To see the turtles, the beach is open from 6am to 6pm to protect the nests, but your best chance at seeing the babies and getting a great picture, is on the nightly guided tours that begin at 6pm each evening during the season, with a ranger to guide you and teach you all things turtles. Tickets are booked through the Parks and Wildlife department of the Queensland government, and cost $12.80 for adults and $6.50 kids, but there are deals for families as well—this also means you’ll be guided by a fully qualified, fully knowledgeable ranger on your tour. You can even help them with their ranger tasks, like counting hatchlings, checking the nests and more, which just adds to the David Attenborough vibes. Mon Repos is home to the largest population of nesting marine turtles on Australia’s East Coast mainland and also boasts the South Pacific’s most significant population of the endangered loggerhead turtles as well, so it’s a pretty special place. As the saying goes, you should never work with children or animals, and the turtles do run on their own time. So while you’ll arrive at 6pm, you will be waiting for the turtles hatch so your visit can be quite a lengthy one—bring bug spray—and remember, there’s no real schedule. They run on turtle time here. But, trust me when I say this: visiting Mon Repos to watch the turtles hatch was one of the most magical moments of my life! You can watch as the hatchlings literally “erupt” from their nest and bounce into the world. From there, you’ll watch them crawl down the sand dunes and into the shore. Your ranger guide will show you the turtles up close (they hold your hand with their flipper! ), providing some great photo ops, and then you’ll have the chance to form a light tunnel with your torch to guide them toward the sea before you fare them well as they glide off into the see to begin their turtle-y awesome life. Bundaberg is a four hour drive from Brisbane, but even shorter if you start your journey from the sunny shores of the Sunshine Coast. The drive takes you through the rolling hills of Mary Valley and past Hervey Bay (home to Fraser Island, which is an awesome stop off) and through the cane fields and macadamia and groves into Bundaberg. If you don’t have a car, you can book your flights from Brisbane through Flight Center here. I said it before, but trust me when I say that Lady Island is the best place to see the reef. Given it’s proximity to Mon Repos, it’s home to a whole heap of turtles, which you’re bound to see while you’re out snorkelling. Plus, given it’s quite a while away from Cairns, you’ll be out on the reef with far fewer tourists. You’ll probably get curious about the local food scene as you drive through the fields of fresh local produce, so book in a tour with Bundaberg Food Tours while you’re in town for farm fresh produce and the chance to meet some of the local farmers. Just about ready to plan your trip? Speak to one of our travel consultants now to book your tailor-made Queensland holiday.